It may feel like it's blazing hot outside but soon enough, the autumnal chill will be upon us (if it isn't already for you). Better prepare yourself with some recipes up your sleeve for those cooler nights. Our last Test Kitchen ingredient was whole cloves so there were a handful of options to think about. 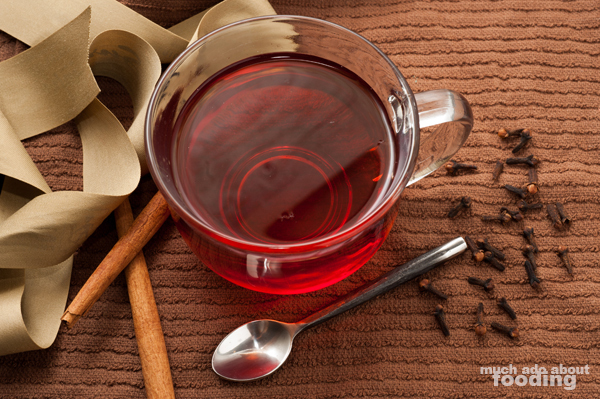 When someone suggested clove orange tea, I wondered what other drinks incorporated the fragrant dried flower bud. 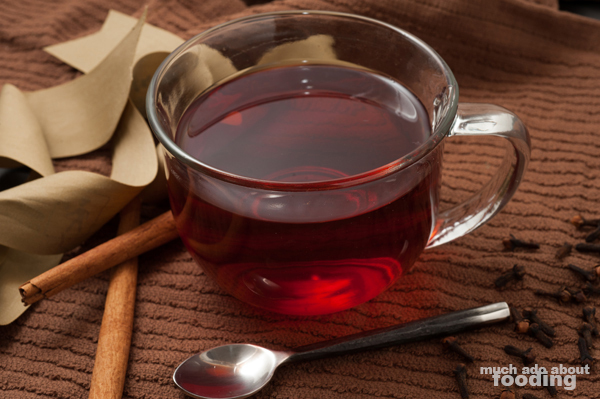 We decided to go with some mulled cranberry cider which gives a very seasonal feel and takes little of your time. Give it a try yourself and cozy on up with a good book once autumn and winter hit! Honestly, this is easy peasy. 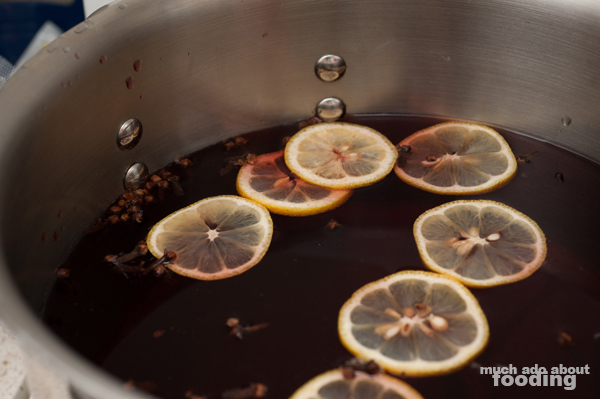 Place all of the ingredients into a 6-quart pot and bring to a boil. Then simmer for 20 minutes. Serve warm! 'Tis the season for pumpkin already, so dictates the pumpkin-flavored items we've been seeing crop up in stores and in eateries. 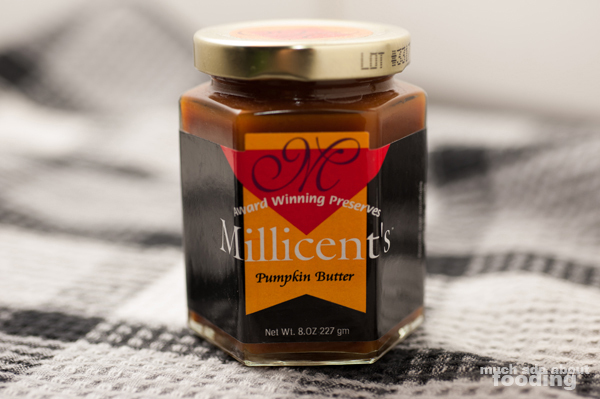 Why not get in on it a little bit and try out some pumpkin butter? I picked this up from the Laguna Hills Farmers' Market one day and have not used it since. Think of a pumpkin puree with the tastes of cinnamon, nutmeg, and typical autumnal spices. What should we do with it? Would love your suggestions!